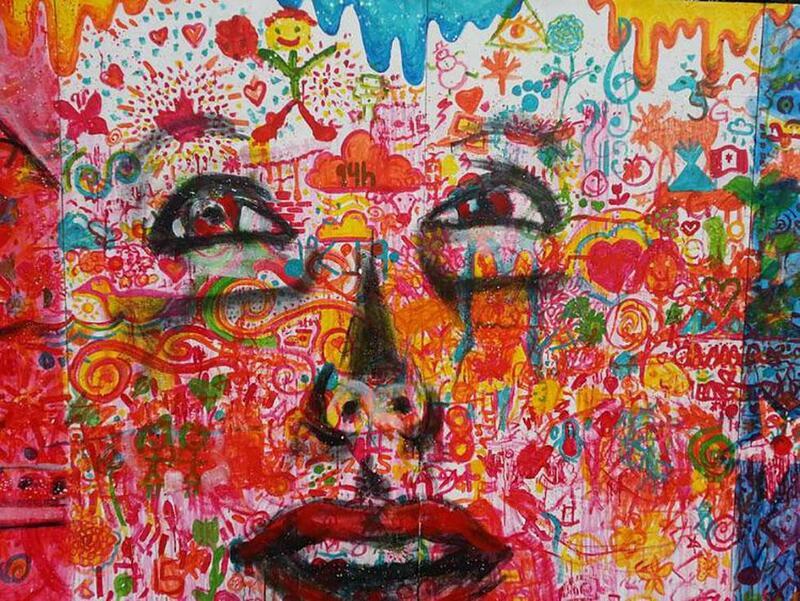 Artfest Kingston once again returns to City Park from July 1-3 for three fun-filled days of arts and culture for the whole family. This unique free three-day event over Canada Day weekend will inspire your creativity, your senses and make wonderful memories. This year’s Artfest theme is ‘Explore and Discover’ – with the three-day festival launching on Canada Day and leading up to the July 4 holiday in the United States, organizers took the opportunity to celebrate the amazing friendship, history and geography that Canada enjoys with our American neighbours. 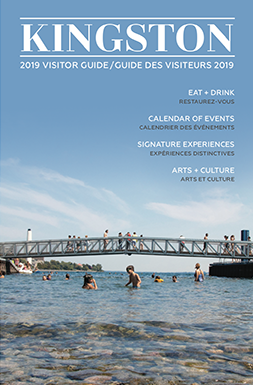 The theme fit perfectly with the overall vision of the Explore and Discover art and craft festival that will enrich the lives of many and promote Kingston as a leading cultural centre. 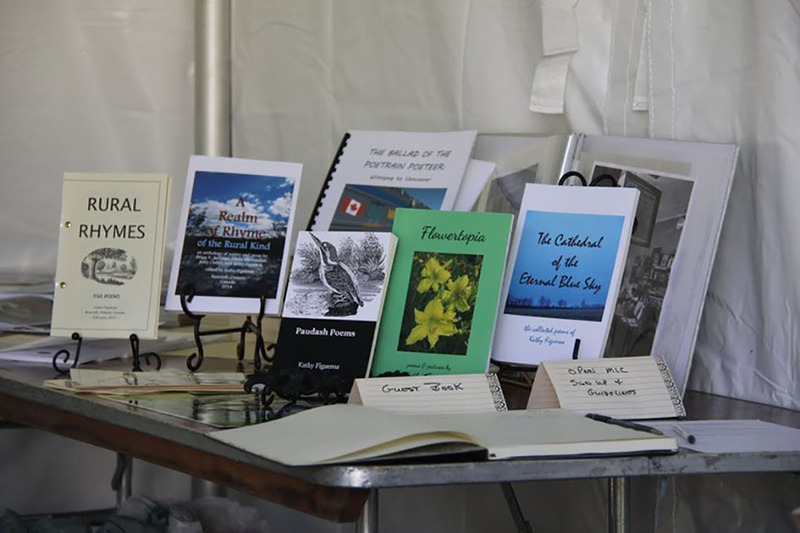 Buy some poetry books at the Poets @ Artfest Tent! During the event, over 150 artists from all over Ontario and Quebec will exhibit pottery, glass art, designer clothing, jewellery, woodcrafts, sculpture, paintings, photography, gourmet food and much more – this is a juried show, so the quality is outstanding. Children can enjoy Artfest Kids’ fun-filled art activity tent of guided art-making all weekend long, where they can learn printmaking, watercolour painting, drawing and origami. For adults, the festival offers classes in powdered graphite, mixed media, printmaking and painting. The best part? All workshops are free. 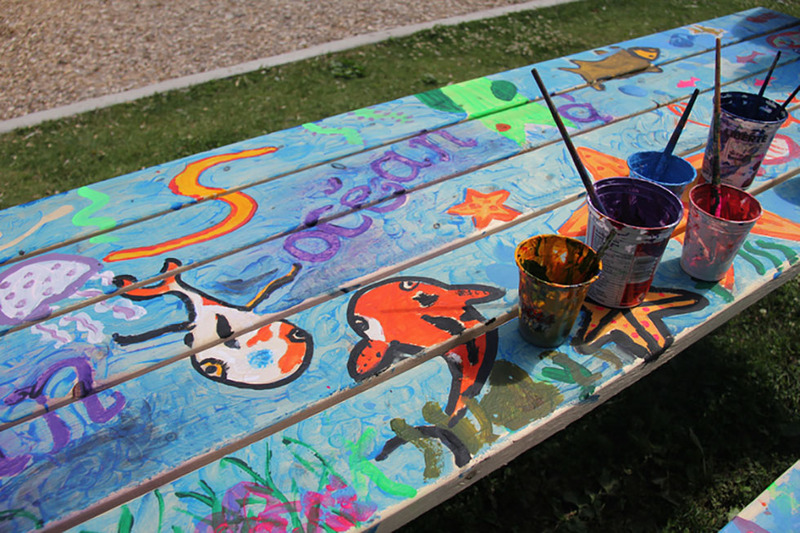 Under the Sea – working on a family picnic table project. 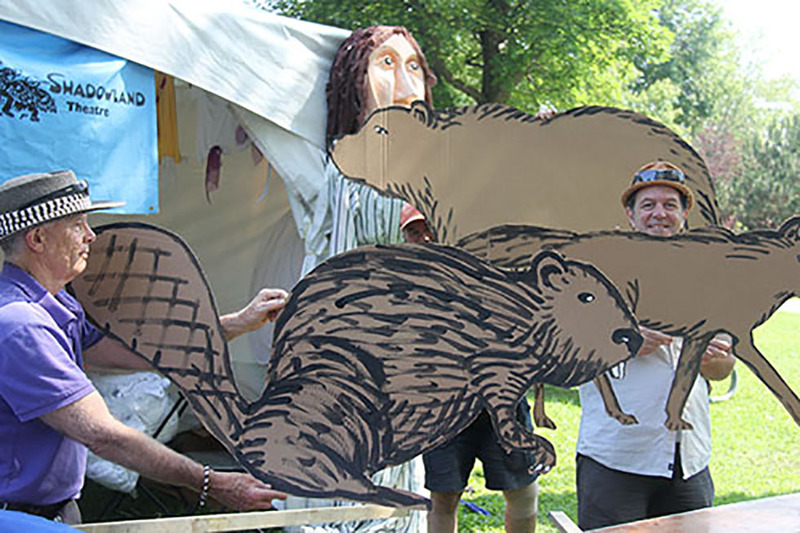 Once again, Shadowland Theatre is back to lead the themed ‘Explore and Discover’ theatre arts program, and guests are invited to join in the fun and make their own costumes, learn stilt walking, help build a giant canoe (and bird puppets!) – and perform in the grand finale PARADE show on Sunday. July 3 at 3:00pm. New this year at Artfest is the Craft Beverage Tent featuring local craft beer masters The Mackinnon Brothers and Barley Days – plus Wapoose Winery & Cider. Guests can relax in the Beer Garden while listening to live music all day with a variety of genres including Rock, World Music, Country, Funk and Folk. Headliners this year are Trilogy, Baker Street and Zal Sissokho. 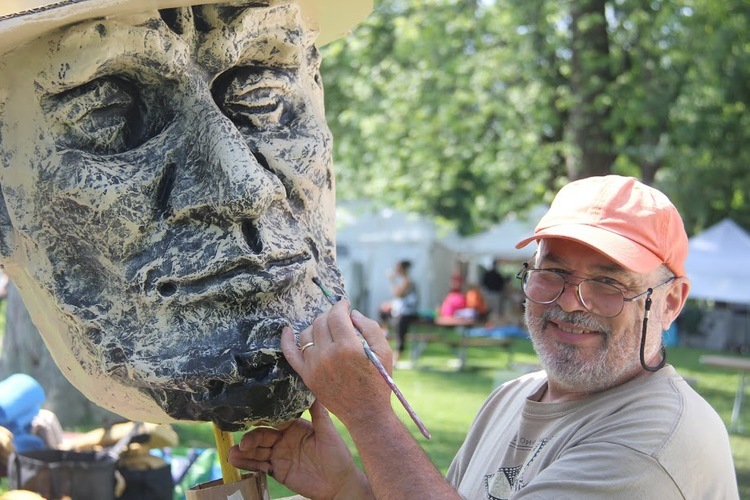 More new features to Artfest this year include the Zimbabwe Stone Carving Pavilion, Marimba classes, Build-A-Playhouse Project sponsored by Habitat for Humanity, and Drumbeats @ Artfest. 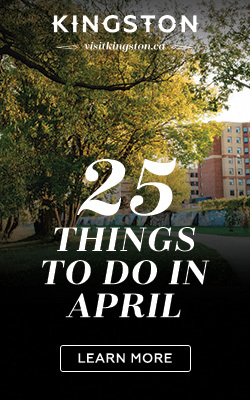 Returning this year is the Easel Invasion (where visitors can paint En Plein Air guided by an artist), the Family Picnic Escapade (where families are invited to paint a picnic table), and the Participaint 80 foot Mural. Poets @ Artfest II features readings by over 60 poets from Ontario and Quebec plus a poetry writing workshop at 9:00am on Friday July 1st. Registration is required. You won’t want to miss the Barefoot Players, Queen’s University School of Drama & Music’s theatre troupe for young audiences, who will be performing daily at 10:30am and 2:00pm. The International Foodfest will offer a gourmet selection of cultural foods and yummy treats including Mapleton’s organic ice cream. Artfest Kingston will run Canada Day Weekend Friday 10 a.m. to 8 p.m., Saturday & Sunday 10 a.m. to 6pm. For more information, visit their website!